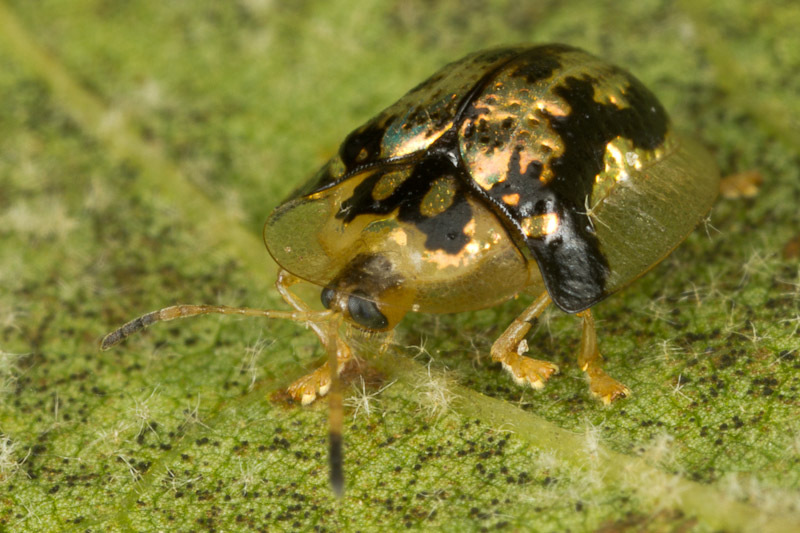 A few weeks ago I found this tortoise beetle, Deloyala guttata, on the underside of a sycamore leaf in a nearby park. Most of the time you only see tortoise beetles safely tucked away inside their “shell” (hence their name). I waited for this one to start moving around so I could get this shot. recently and had no idea what I was looking at. How long did you wait before it started moving?